Is there anything left of Sylvanas Windrunner? It’s a good question. In her days among the living, Sylvanas was cunning, yes, fearless, certainly – but she was the Ranger-General of Silvermoon. She would do anything to protect her people – and she lost her life during the Third War while trying to do just that. Arthas killed her and then ripped her soul from comforting darkness back into the world, creating one of the first High Elf banshees. Though bound to his will, Arthas left Sylvanas with just enough awareness to witness what he did to the Sunwell and her people. As one of Arthas’ generals, she carried out his orders throughout the Third War. But when the Lich King was weakened, his hold over the banshees, and even some of the Scourge, weakened as well. They regained their free will – and Sylvanas eventually turned on Arthas and reclaimed her body. Gathering the free-willed undead to her side, she created a new kingdom. Not quite dead, but certainly not alive, the Forsaken pledged their service – and their gratitude – to the Banshee Queen. And yet…something’s not quite right with Sylvanas. In the beginning, there was only the Light. It was a boundless, endless sea of living energy, coursing through all of existence. But over time, pockets of nothing appeared throughout the sea – and the Void was born. The two energies stood at opposing ends of the spectrum. The Light was a font of living energy, the Void existed only to devour that energy and twist creation into feeding upon itself. Eventually, the two forces collided – and the resultant explosion gave birth to the physical universe. The Void isn’t “evil,” just as the Light isn’t “good.” They’re simply two primal, cosmic forces, often at odds with each other. Yet one cannot exist without the other. The Light will always give way to some form of the Void – and the Void, no matter how much it tries, cannot exist as a functional entity without Light to devour. These two forces are constantly portrayed as battling each other…and yet there are some theories that suggest the two are one and the same. It’s clearly visible in the Naaru – creatures of Light that also possess the potential to become creatures of Void. This swinging pendulum of Light and Void is a natural part of the Naaru life cycle. They’re direct representations of the symbiotic nature of Light and Void. 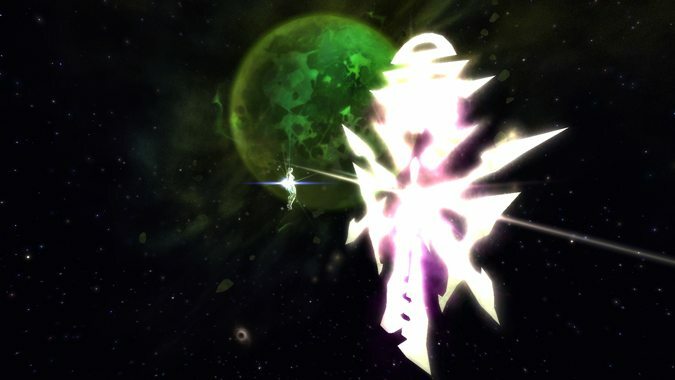 In Legion, the Light isn’t seeking any kind of retribution or vengeance against the Void. The Light is pitted against the Burning Legion, against Sargeras and his demonic army. And that’s not just a plot point in Legion, it’s how it’s always been. Every appearance of the Naaru sees them pitted against the Burning Legion in one way or another. They don’t seem concerned with the Void at all. Why would they be? The Void is part of their life cycle – they can’t exist without it. Just like the Void can’t exist without the Light. In that, maybe we can draw a conclusion – the Light sees one path and shuns all others. It sees the truth – and the truth is that the Void will always be, must always be. If the Void didn’t exist, then the Light wouldn’t exist. That’s why there’s little concern shown for creatures of the Void. 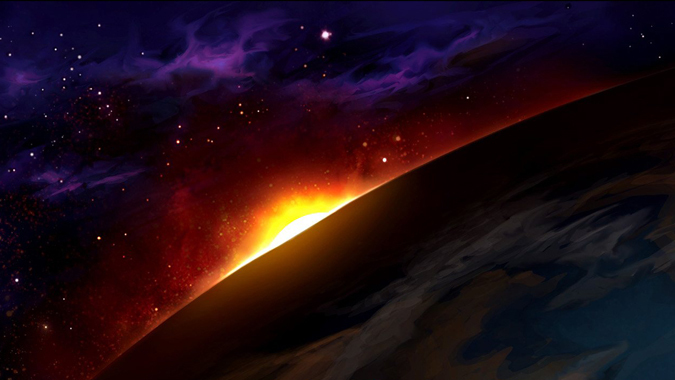 If the Burning Legion is threatening to harm the universe, then the Naaru and the Light will fight that every step of the way. But Old Gods? The Naaru have never shown an interest in helping us with the Old Gods, or Void Lords. The Light doesn’t fear the Void – Xe’ra found the Void offensive, but never suggested it needed to be destroyed. In fact, Xe’ra seemed content enough to pretend the Void doesn’t exist. When Alleria considered the idea of contacting those who had mastered use of the Void as allies, Xe’ra was disgusted at the thought. She told Alleria in no uncertain terms that pursuing her interests in the Void would only lead her to ruin. And she said – oddly enough – that the Light and the Shadow cannot exist together. Perhaps there’s some truth to that. After all, it was the cataclysmic collision of Light and Void that created the universe in the first place. Yes, it created life – but it also created an explosion. At the same time, one wonders just how much one could really trust Xe’ra at all. Xe’ra didn’t tell Turalyon about the Naaru life cycle – she didn’t tell him there was a chance that a Naaru could enter a Void state. 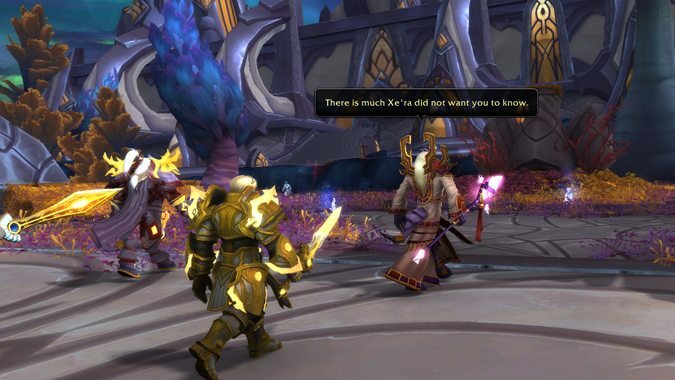 And when Turalyon learned this information, Velen simply said that there was much Xe’ra didn’t tell the Lightforged. But we started all of this talking about Sylvanas Windrunner, didn’t we? Let’s go back to that. After Alleria mastered her control over the Void, after the Legion had been defeated, Alleria returned to Azeroth. There, she reunited with her sisters and saw for the first time what had happened to Sylvanas, up close and personal. In the comic Three Sisters, we learned a few things. First, the Void speaks to Alleria. Constantly. There’s no end to its chatter, and Alleria has learned to, by and large, ignore the whispers. After all, the Void sees everything as truth – all possibilities are potential truths waiting to be realized. 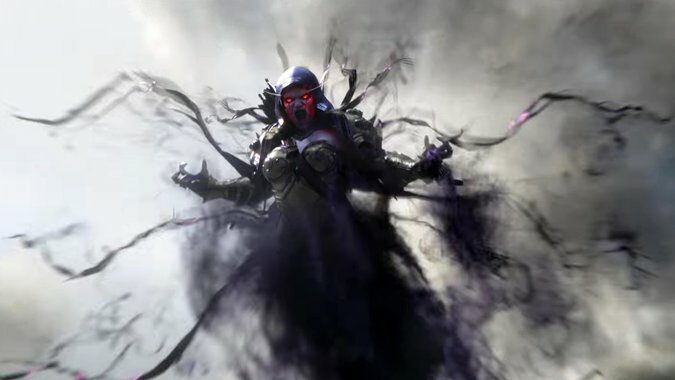 Second, and far more importantly – the Void doesn’t like Sylvanas. On her first appearance in the comic, the Void starts up a diatribe about how Sylvanas needs to be killed. She’s a threat. She seeks the death of all things. 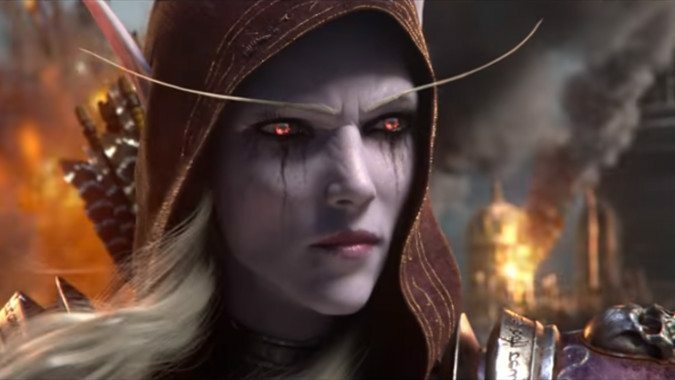 Yes, there is truth to this statement – Sylvanas was going to kill Vereesa so that her beloved sister could be eternally at her side. That’s not truth. That’s fear. There’s something not quite right with Sylvanas Windrunner. And whatever it is, even the primal cosmic force of the Void is terrified of it. Next week, we’ll dive into the possibilities.